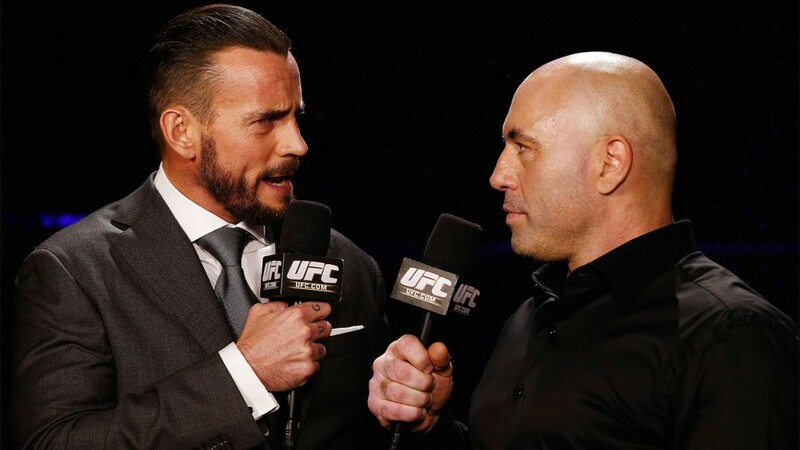 CM Punk Joins the UFC!! The toughest thing about being a wrestling fan is that some people just don’t get it. We can talk freely in this country about our favorite television shows, from “The Walking Dead” to “Burn Notice“, but as soon as someone mentions WWE at a dinner party with his fiance’s college friends, he’s a pariah. Every wrestling fan has had the experience: it comes up that you like wrestling, and some moron’s otherwise dull eyes briefly light up as he asks, “Don’t you know that stuff is fake?” It’s a tough spot to be put in, because answering the question implies that the answer is at all relevant to our enjoyment of the artform. Spoiler: it isn’t. Yet while no one feels compelled to tell us that the Man v. Zombie fights on “The Walking Dead” are fixed, and that the writers decide who is going to win beforehand, we find ourselves defending our favorite show against that entirely unfair criticism. The audacity of CM Punk’s move is incredible. He is 36 years old and freshly retired from his almost 20 year wresting career. He just did a two-part podcast in which he documented a shockingly long list of injuries he sustained in the last few years as a WWE Superstar. It has long been reported that he enjoys jiu-jitsu training, but he has no experience in shoot fighting. In terms of age, mileage and lack of relevant experience, this is like Kobe Bryant trying to become an NFL wide receiver next season. And no, this is nothing like Brock Lesnar joining UFC. Lesnar was the NCAA heavyweight wrestling champion and was in his mid-20s when he first went into the octagon. He is an athletic freak who damn near made an NFL roster in 2004 after not playing past high school. Punk seems to be a good athlete, but he resonated with the WWE audience because he is a charismatic, thoughtful performer who consistently took chances with his character. “Saturday Night Live” would have been a logical step. Cage fighting, not so much. Additionally, Punk is risking all of his pop culture capital with this move. As the renegade performer who left WWE on his own terms, Punk has taken advantage of some great opportunities as a guest on “The Talking Dead” and now the author of Marvel Comics‘ “Thor Annual.” Given his talent, background and connection to the 18-35 demographic, he could easily host any number of cable TV shows that critics would describe as “surprisingly good.” Instead he is going into a profession for which he may be entirely unqualified at an age when most fighters are in the twilight of their careers. If he gets beaten up in front of the world, those opportunities may not be available. At the core of the criticism that CM Punk is receiving (and a quick scan of the Internet reveals that he is receiving quite a bit) is that condescending criticism that wrestling is fake. 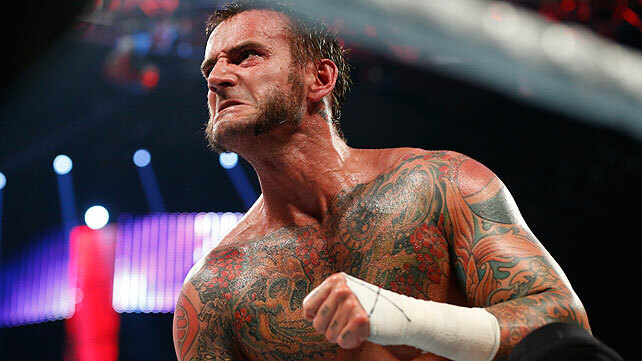 If Punk struggles, it will somehow provide confirmation that he’s a “phony” who can’t hack it in a “real fight”. It is entirely unfair. This is not a story about a professional wrestler trying to take his character to UFC. Instead, this is a story about a talented guy who accomplished damn near everything he wanted in a remarkable first career, and then challenged himself to succeed at the highest level in a mostly unrelated second career. Best of luck, CM Punk. Although I will always prefer my barbaric cage matches to be scripted, I look forward to watching you compete. Mike’s Summerslam 2012 Results and Review!!! The Good, The Bad, and The Ugly!!! WWE: Stone Cold Steve Austin v. Brock Lesnar at Wrestlemania 32?? WWE: What to Expect from ‘Survivor Series 2014’! Special Podcast: WWE Royal Rumble 2014 Discussion!! This entry was posted on Monday, December 8th, 2014 at 1:29 pm	and is filed under Events, News, Television. You can follow any responses to this entry through the RSS 2.0 feed. You can skip to the end and leave a response. Pinging is currently not allowed. « Podcast #49 – ‘Star Wars’, ‘Suicide Squad’, ‘Ryan Reynolds’, ‘Three Men and a Baby’!